There is a wave of innovations facing the construction industry today. New materials, energy, and design approaches as well as digital technology is being applied to ensure that some of these ideas are implemented. Here are some of the ideas being put into practice today. The growth of cities has driven planning and innovation efforts. CyberCity 3D (CC3D) is a geospatial-modelling innovator specialized in the production of smart 3D models. It enables the creation of smart digital 3D buildings, which help in the architectural, engineering and construction with CC3D property software. The models work together with 3D geographical information platforms which stream urban structure data. 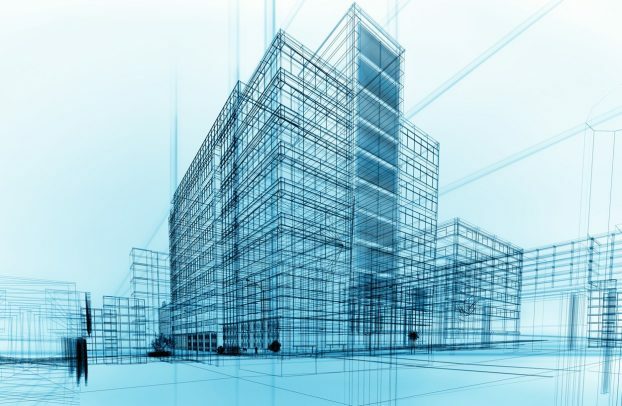 3D modeling helps with information on data for urban, energy sustainability and design planning. Modular Construction is where a building is constructed off-site. The same materials are used, and the same standards are met on a conventional construction site. This is a very good idea in commercial construction methods, as it reduces environmental pollution and turns construction services into a logistics exercise. This approach has benefits as well as fewer vehicle movements and wastage. It is efficient as it offers up to 70% of a building produced in components and allows timely manufacturing and delivery of commercial buildings. Asset mapping mainly focuses on operational equipment. This includes heating and air condition requirements, lighting and security systems as well as collecting data during construction. The system also indicates where equipment needs to be placed, therefore assisting site engineers during planning. The system also helps customers build databases regarding asset performance, which may help in the construction of maintenance and also reduce building procurement and insurance costs. This is a significant step in commercial construction innovations. Smart buildings offer a high adaptability rate and flexibility when using integrated mobile and digital technology. This may be used to improve on commercial construction methods by enhancing on-site communications security and access. Climate control can also be done by regulating the use of integrated mobile technology. Buildings sustained environmentally have a few advantages. Solar installations can provide power on site, therefore, reducing and offsetting operational costs during construction. Better and more efficient layouts may also reduce heating and cooling significantly. Therefore, sustainable building materials limit the impact new construction may have on the environment. Cement is one of the most widely known materials used in construction. Cement is among the highest contributors to harmful carbon emissions. It is responsible for about 7% of the annual global emissions. Researchers have come up with a self-healing concrete that contains a mix of bacteria within microcapsules that germinate when water enters a crack in the concrete to produce limestone. This will plug the crack before water and oxygen get a chance to corrode the steel reinforcement. Thermal bridging is the process in which heat transmission through walls is passed directly through a building’s envelope. This can be masonry, block or stud-frame in a dry wall. The insulation material is getting popularity in the construction industry. Aerogel is a technological advancement done by Nasa for cryogenic insulation. This is one of the most efficient thermal insulation materials adopted in fiberglass matrix. This technology can be used to enhance studs, which reportedly increase overall wall value by more than 40%. Therefore it is a very good idea in commercial construction methods. Putting up buildings integrated with photovoltaic glazing can help buildings generate their electricity by turning the whole building envelope into a solar panel. Some companies provide transparent photovoltaic glass as a structural building material, therefore forming windows facades and roofs as well. This technology is efficient in producing high energy levels which can be insulated directly. This also saves on energy bills and construction framework costs remain.